In addition, we provide investment management services to corporations, public and private foundations, charitable trusts, endowments and qualified retirement plans. We don’t sell products or receive commissions. As true fiduciaries, our only source of revenue comes from the transparent professional fees we receive from you. 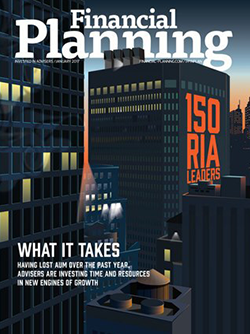 Financial Planning magazine named Hamilton Capital Management to its RIA Leaders list, which ranks the nation’s independent, fee-only Registered Investment Advisers in a number of categories. Hamilton Capital was ranked 10th in number of advisors, 19th in total client accounts and 80th in assets under management. 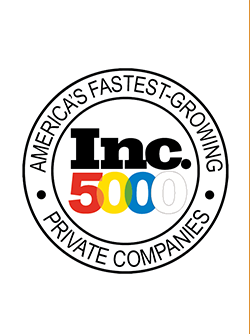 Hamilton Capital has been named to the Inc. 5000 for a third consecutive year, a list of the fastest-growing private companies in America by Inc. magazine. The firms on the 5,000-member list, which has featured powerhouse brands like Microsoft, Oracle, Intuit, Zappos and GoPro in the past, demonstrated remarkably consistent high growth according to the magazine’s editor. Please click here for additional information on Inc. Yes, we learn about you, where you want to go and don’t stop there. It’s the only way! We believe our team approach makes us one of the most experienced and skilled firms out there. Over two billion in assets managed plus plenty of earned national recognition. We’re all about the research – and it’s original, thorough and ongoing. Our reporting is simple, clear and transparent – 100% of the time. Of course! It’s secure and updated daily, plus it showcases balance sheet/net worth, cash flows, retirement, investments, and more. Real conversations with real people? You bet! And any way you’d like – phone, text, video, in-person, a tin can. Whatever works for you. That is our trademark! In fact, it’s why we built our own investment team for ongoing adjustments of asset allocations as conditions change. We believe wealth, itself, is not the destination. It’s the vehicle for something more meaningful. Hamilton Capital has been passionate about serving you and your family with integrity and excellence. Our vision is simple – we want to help our clients create lasting impact as they achieve their life goals and leave an echoing legacy. We believe in holistic financial well-being and that starts with understanding where you want to be and providing you insightful and careful planning and financial strategies to get you there. Serve First: We always put the interest of the client first, and act with a service mindset, fully aligned and transparent in all that we do. Be Insightful: We build our global perspective and expertise and use our insightful financial strategies to help our clients see their future more clearly. Guide Forward: We proactively look over the horizon and focus on the future with our clients’ goals in mind. Collaborate: We listen intently, seek to understand the deeper purpose, and then act for our clients with a committed team of professionals. Make it Happen: We are accountable to our clients and our teammates to find the solution, commit to action, and own the results.